Today let’s look at marketing on Pinterest using Youtube videos. 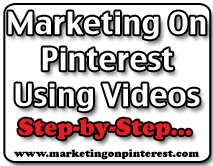 Your video content on Youtube can be a very effective marketing tool in Pinterest. It can be pinned by either you, or by your fans, followers or customers. The nice part about using Youtube video in Pinterest is that the video will play directly right in Pinterest, just like an embedded video on your blog. Step One: Upload Your Video To Youtube. You can see (as an example) my interview / Google Hangout with the Sitesell.com team on their Youtube channel here – if you want. Step Two: Click the Pin It button on your browser. You’ll be shown the Pin It Screen with the option to Pin the video. You’ll notice there is a black ‘play’ button on top of the video image, which indicates that it is a playable video. 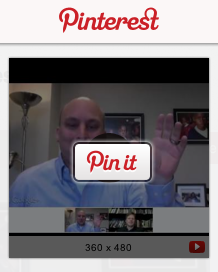 Step Three: Pin the video to your most relevant pinboard. You’ll also want to ensure the description is fully optimized with a good description, and don’t forget you can add a clickable URL in the description of your pins – that URL could be to your website or blog for example. Boom. You’re done. Now when your fans, followers or customers see the video in Pinterest, and click on it, it will begin playing directly inside Pinterest. 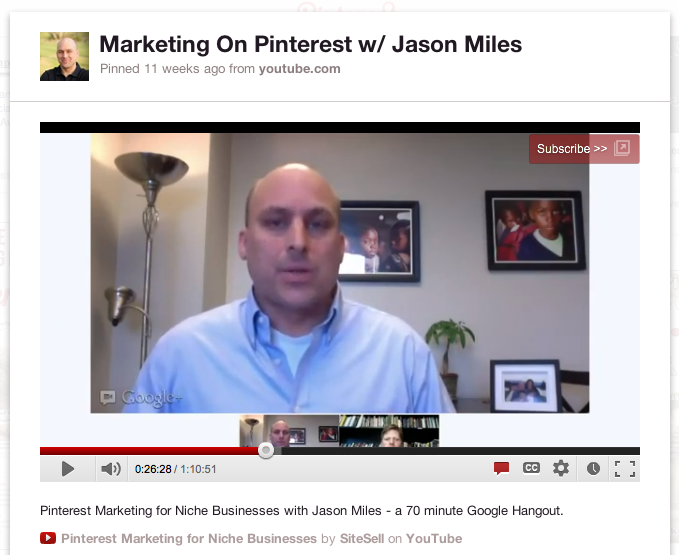 You can see this example video in Pinterest here: Pinterest Marketing For Niche Videos Interview With Jason Miles. 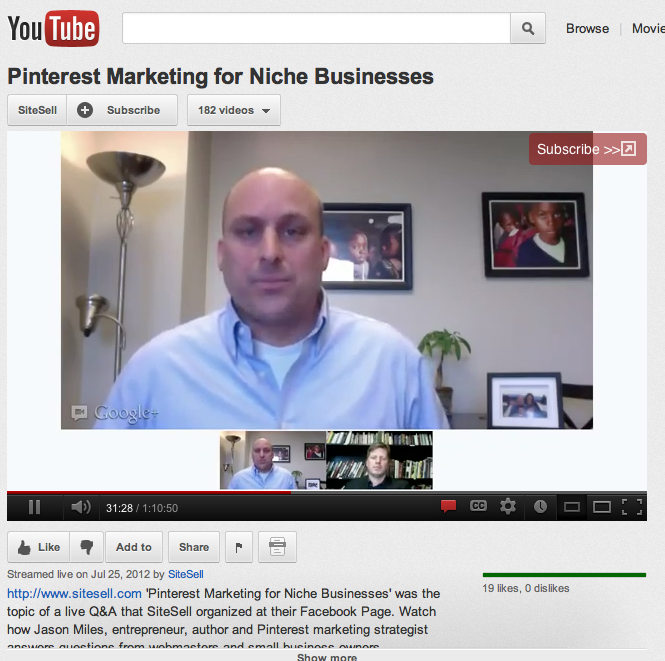 I hope you use Youtube effectively to drive customer engagement in Pinterest!